Editor’s note: Construction Citizen is proud to partner with AGC America  to bring you AGC Chief Economist Ken Simonson's Data DIGest. Check back each week to get Ken's expert analysis of what's happening in our industry. 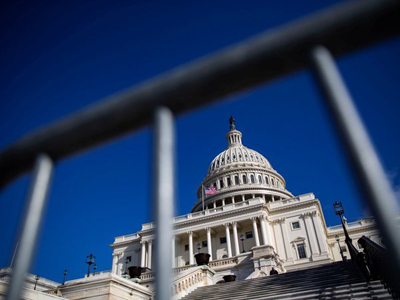 The partial federal government shutdown that began on December 22 ended on Friday. Only a few contractors had reported being affected by not receiving authorizations, permits or funding; specifically, for low-income housing, bridges and Small Business Administration loans. However, the reopening of agencies does not guarantee that applications will be acted on immediately. Readers are invited to send information about impacts in the coming weeks to simonsonk@agc.org . The Census Bureau has not yet stated when it will post data that would normally have been released earlier in January, including November construction spending or December housing starts and building permits. The value of new construction starts in December fell 10% at a seasonally adjusted annual rate, "continuing to retreat after November's 7% slide," construction data provider Dodge Data & Analytics reported  on Thursday. "Nonresidential building dropped 14%, as its commercial building segment lost momentum following its heightened November amount. Residential building pulled back 8%, due to reduced activity in December for both single-family and multifamily housing. Nonbuilding construction decreased 9%, with a steep plunge by the electric utility/gas plant category that outweighed a December rebound for public works. For 2018 as a whole, total construction starts increased a slight 0.3%....This came after 7% gains in both 2016 and 2017, as well as 11% to 14% gains from 2012 through 2015. The 2018 increase for total construction starts was restrained by a 31% plunge for the electric utility/gas plant category. If electric utilities and gas plants are excluded, total construction starts for 2018 would be up 2% from 2017." Chief Economist Robert Murray stated, "'There were several noteworthy features that stand out in the 2018 construction starts data....Last year's brisk economic expansion enabled market fundamentals for multifamily housing and commercial building to strengthen, which supported more growth for apartment projects, office buildings, and hotels. However, store construction continued to decline, adversely affected by the glut of retail space produced in the previous decade as well as by the greater role now played by e-commerce. Single-family housing showed improvement early in 2018, but then plateaued and began to recede, given affordability constraints. The institutional building segment showed more growth for educational facilities and [groundbreaking for] a number of major transportation terminals, although not to the same extent as what took place in 2017. Public works construction benefitted from the 2018 omnibus federal appropriations bill passed last March, as well as funding arising from recent state transportation bond measures. Going forward into 2019, economic growth is not expected to be as strong as what occurred during 2018, which may dampen groundbreaking for multifamily housing and commercial building projects. In addition, more growth for public works this year requires that federal appropriations for fiscal 2019 get finalized without much further delay.'" The Architecture Billings Index (ABI) exceeded the breakeven 50 mark for the 15th month in a row in December, with a seasonally adjusted score of 50.4, down from 54.7 in November, the American Institute of Architects reported  on Wednesday. The ABI measures the percentage of surveyed architecture firms that reported higher billings than a month earlier, less the percentage reporting lower billings; scores over 50, on a 0-100 scale, suggest billings increased overall. Scores by practice specialty (based on three-month moving averages) moved in different directions after clustering around 51 in November: institutional rose to 53.1; commercial/industrial dipped slightly to 51.2; and residential fell to 49.8. "Metal pricing held firm at the end of 2018 and looks to continue throughout the early part of 2019," New South Construction Supply reported  on Friday in its monthly newsletter. "Domestic rebar is still dominating the market with the tariffs all but eliminating the market for import rebar. We can expect the price on both rebar and wire mesh to stay fairly consistent through the first quarter barring any major changes. Availability has improved dramatically since the turbulent summer, but it is not quite back to where it was early 2018 or 2017. Lumber pricing softened dramatically over the past few months, but it appears we are close to the bottom and should see numbers start to rise mid-to-late first quarter....Southwire Tools & Equipment, a leading supplier of tools and electrical equipment, announced a price increase effective February 11...This price increase will range from 1.5% to 4.7% across most of their equipment and tool products. Increases on both non-metal and metal raw materials, as well increased transportation costs, are listed as the drivers behind the increase. WR Meadows, a large cementitious products and chemical manufacturer has also announced...new pricing will go into effect on March 11...on all orders shipped on or after this date. We continue to see increases on inbound and outbound freight, raw materials and labor as the reasons for price increases. 3M will be implementing a general price increase at the beginning of February....General guidelines to the increase are 4%-5% ontapes and adhesives, 4%-5% on abrasives, and 3%-4.5% on all respiratory and safety items." The National Association for Business Economics reported  today that, of the 106 corporate and association economists in its latest quarterly survey, "Two-thirds of respondents expect growth of [inflation-adjusted gross domestic product to exceed 2%; however, that share is smaller than the 90% of respondents in the previous survey—which covered the outlook from the third quarter of 2018 to the third quarter of 2019." Of the 58 respondents regarding expected capital spending on structures at their firms in the next three months, 22% expect an increase and 14% expect a decrease, similar to the October survey results.